Guaranteed to be at the BEST LOCATION. 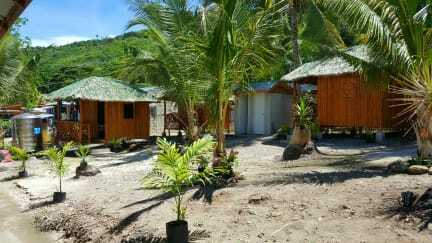 Sharky Hostel Oslob which is is conveniently located just beside the New Briefing Center for Whaleshark Watching, a very good location just 1 minute walk away, 50 meters away to the beach and just 10 minutes ride to Tumalog Waterfalls also 15 minute boat ride to Sumilon Island Sandbar. Here you can relax and enjoy and meet new friends. 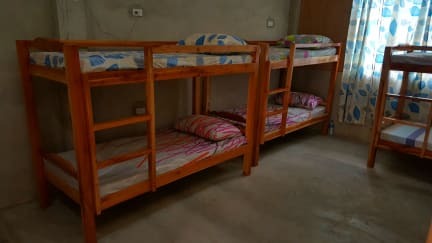 Our hostel is composed of concrete dormitory rooms and Native Bamboo House. What to See and do in Oslob? Sharky Hostel offers Canyoonering Tours - you can booked it upon arrival. Also we assist guest for boat transfer to Panglao Island Bohol from Oslob. 3. Check-in at 2:00 PM. 4. Check-out at 12:00 NOON.